On November 19th, 2018, one of our valuable clients from Philippines came and visited our factory. 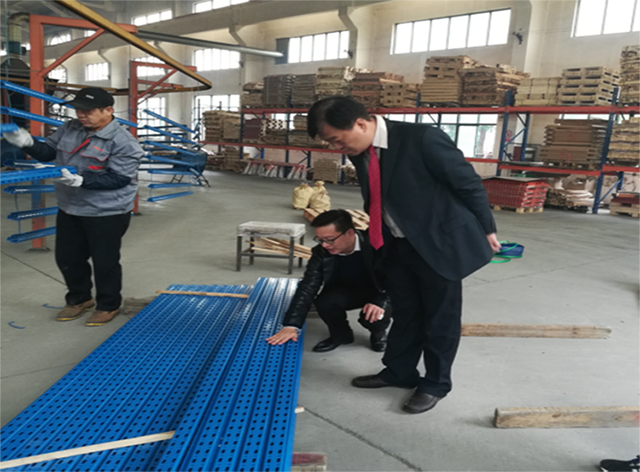 During the visit, we discussed a lot about different kinds of storage racks, like pallet racks, drive-in racks , mezzanine, slotted angle racks and boltless rivet racks. We came to the production line to see our storage racks manufacturing, and checked our product package. Our client is very satisfied with our product quality and wish we can have a long term cooperation in the near future.